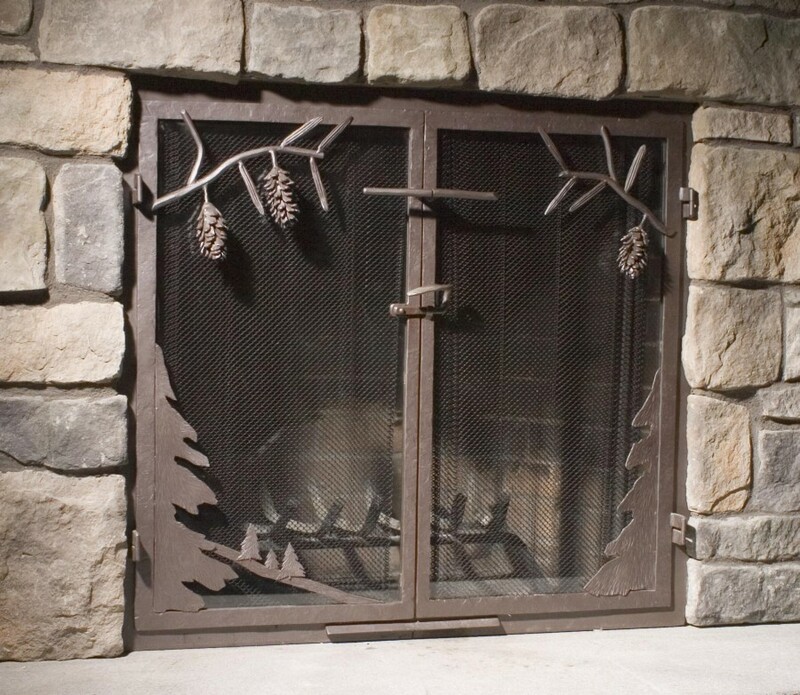 We custom fabricate custom wrought iron fireplace screens to fit exactly into any hearth. Fireplace screens can be made entirely of metal or we can make a metal frame and install glass to suit the clients needs. Wrought iron is also a beautiful and functional material with which to construct fireplace surrounds and fireplace mantels. Call us with your ideas. 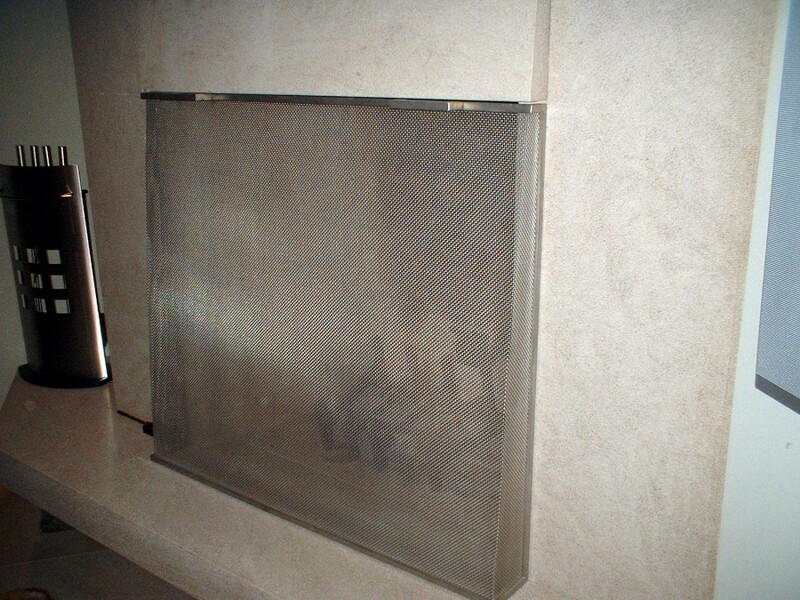 We custom fabricate traditional mesh curtain fireplace screens to custom fit any hearth. 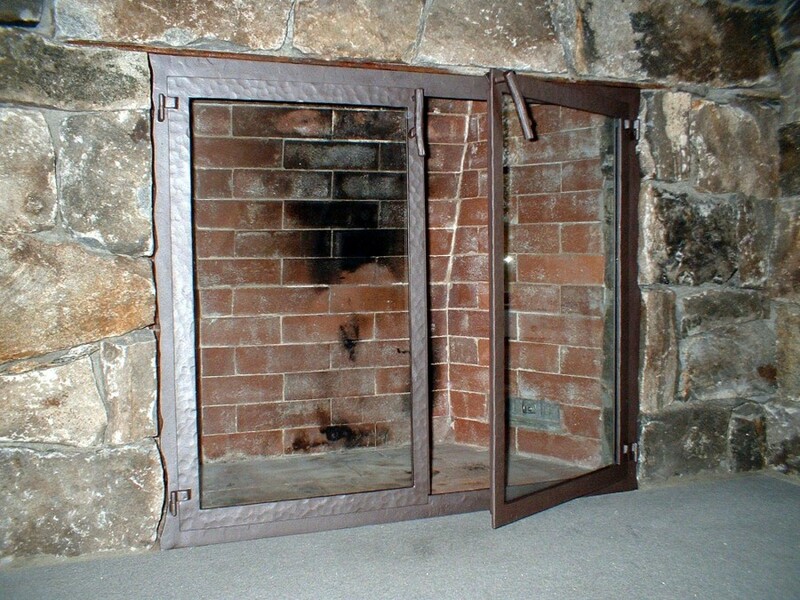 A convenient and practical way to contain and control the fire while still being able to enjoy the heat and light. 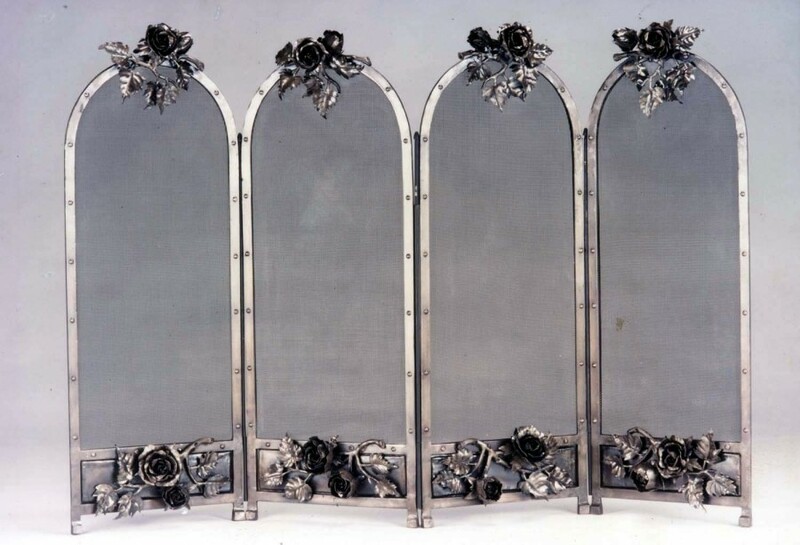 We can fabricate any fireplace andiron or tool set you need or can imagine. As seen above, Dragon Andiron.